mikeoldfield.de now has a full tracklisting of the forthcoming Light and Shade album, including descriptions, and an interview (in German, of course). It's strange there has been no 'official' release statement (in english) about this album yet. Do we even have a worldwide release date yet? I guess this all may happen in the coming days. i have complicated feelings about the new album. I've really enjoyed the games but i am surprised to see the tunes from the games on the new album. Happy at finally getting a full snow owl and bird cave version, but dissapointed that he hasn't moved on. The only tracks we have are by the very lucky chance of a fan in Poland having the speed to record a radio show. No advance warning, no publicity, and if our friend didn't have the right machines set up, we would all have missed it. I can understand why Warner germany is the first to list the photo's and track listing, his biggest market is there, but you would expect something to come in his home country. I will buy the album, but from the track comments, and the downloads I'm not sure I'll like it. But then I grew to like HO after enough listens. Well I downloaded the two tracks but did not listen to them until after I downloaded about 2 hours worth of music from the 'fan tracks', (everything that is on the first page, including all compositions included in the fans websites etc) and then I played it right through not knowing when or where the MO tracks would come in and I completely missed them!! It was only when I jumped up to have a little dance to oclamoorie, that I saw the track listings and released that they had just played and I didn't even realise it was Mike. Now you can take that as an insult to Mike or a compliment to the fans tracks, but they just didn't grab me!. I LOVE almost all of Mikes music but I am most certainly more attracted to the more lively dancey and moody stuff. I know I will love this album but I can't wait to hear some of the tracks from the 'Shade' cd which will no doubt be my favourite. As has been said, the quality interferes a little and not having the whole album with it's flow on effect. If I listen to anything loudly, it can grab me. I wait with baited breath (whatever that means?!!! ). "Rocky" "is called my horse in such a way. It is an Arab Hengst, which always arrives with me and wants me to embrace. If we did not have it a daily no more with us, it determines an incomprehensible beast become." So, Mike like very very his horses !! "Tears of an angel". Hmmm. I'm going to wait until (if?) we get some official word before I make too much judgement. I do want to say that I don't believe you can base your opinion on what the album will be like on anything Mike says about it beforehand (I'd need an full translation anyway). I'll tell people whether it's good or it's bad when I hear the album, not before. However, I'm just thinking about how Nightshade is an awesome title for a track, to me at least, and if the music even comes close to conjuring up the title then I'm very much looking forward to it. This is my translation of the tracklist for "Light". Hope the English is ok.
That's the name of one of my presets on my synthesizer. As always, I began building the music up from bottom, and this piece sounded like angels somehow. I cannot really say, how it came to this, I only pushed a few buttons. I normally come out of my studio all three days and have a new track finished. I'm done for then. It always feels like a birth. I wanted to do a pure piano-piece using my last real instrument: A 1928 Steinway. I lend the title from one of my motorbikes, because I have a whole garage full of fast machines. Among them a Honda Blackbird. The piece is slower though, but it is too see as Stanley Kubrick has worked with music in "2001": When you drive, time feels slowed down, like in slow motion. I like to set forth with my music-mashine-park, but then I need a break and disappear on my fast bikes. I have also tried planes and even have a flying license, but that was too exciting for me. Motorbikes are much more recreating, more relaxing. For this piece I worked with my vocal software: Vocaloid. One takes the rough, unprocessed sound, sends it through some plug-ins and all sounds wonderful. The title is from my grandfather Michael Liston from Cork. I knew that he had dissapeared one night and returned not till three years later. But then I discovered, that he had been fighting in the first world war in Ypres in France. Go to Ypres and visit the museum! Then you have exactly the mood that's underlying this song. This is a composition of pieces I made for my game 'Tres Lunas'. At the beginning of this game, you are alone in the desert standing before a cactus and when you start walking this music begins. Robin Smith, a keyboarder and friend of mine, has helped me with the arrangements for this piece. During my journey to Ypres, I heard a hymn and found out, that it was "Pres De Trois". I liked the piece so much, that I even made a celtic version. But the heavy bagpipe-melodies didn't fit well for the album, so I made a blues version. This was originally a melody from 'Tres Lunas'. I changed the original in the time when the pope was dying, so that my fascination of his life flew into this song. When he finally died, I didn't have the feeling that he was dead now, because I was still thematically close to him. For me this song represents his whole life and also his dead. That's the name of my horse. He's an arabic , who always comes to me and wants to embrace me. If we didn't have him with us any longer one day, he would certainly become a incomprehensible beast. In 'Maestro', my second game, there is this special melody that you can only hear, when you made it to the last level. In the case of 'Sunset' I have made a variation of this said melody considering it should become a chill-out piece. Therefore the name 'Sunset'. Oooh, thank you, this sounds very good! He considered a complex album, in the vein of Tubular Bells, but felt that the format would have been bound too much with the 70s. Thanks Mike, I think you want make 70's album to give pleasure to your fan. It's very nice because you have this intention... but keep your way, the 70's album are the past ! It's weird that he should say that about a long complex piece, because did'nt he ask the fans what they wanted at a press conference once, and they mostly said a long complex piece. 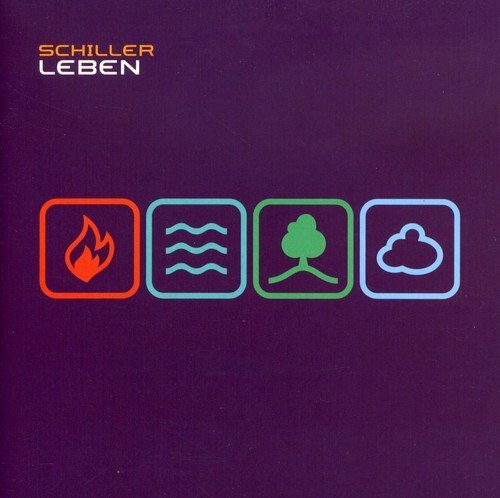 I have this Schiller album and I don't remember any Mike Oldfield appearance on it. Perhaps he will appear on the new, fourth album...? I don't consider this track dance music. Perhaps music with a dance beat. I tried to draw underwater movements with dolphins and ascending bubbles. When I was living on Ibiza, I often saw doplhins behind the boats. That was really impressing. In the place where I live, in Chalfont St. Giles, there is a memorial for Captain Cook. I like travelling and Captain Kirk was based on Captain Cook, whose ship was called 'Resolution'. With this ship he travelled to the Antarctis. So I made music sounding like ice. When I was recording, things in Iraq went out of control, so different elements came together here. I asked FL studios, if I could work with one of the demo songs from their Fruity Loop software, because I was really amazed by the riff. They immediately agreed, and so the riff became 'Slipstream' in time. I layed the virtual vocal parts from the software program 'Cantor' over my own voice parts. Combined with the robot sounds this track came forth. My daughter Molly was very sad at that time. During that I was working with the vocaloid program. The false voices paired with my own provide a nice dense choir-effect. The fist thing a beginner learns of Spanish guitar play, is that there are only two sounds: One in major and one in minor. I wanted to make a dance version, but the major version didn't work well. So I stayed at the dark side of the romance. Perhaps you should imagine a love story, that goes totally wrong, where both parties call their lawyers to fight against each other. Another piece from 'Tres Lunas'. It is from the part, where the owl takes you on a journey. Through a desert, into a tunnel and then into a world of Ice-axes. And again Robin Smith has helped me with that. Christopher von Deylen and I have agreed that we help out mutually with one of our pieces. So I'm going to play the guitar on one of his pieces of his band Schiller, and he has helped me with this song by playing bass and drums. Apart from Robin Smith, Cristopher is the only guest on my album. Everything else is by me. First of all Mike calls one of the new tracks after a pre-set on his keyboard next he's sampling demo songs that come with his software (is there no end to the 'creative' uses he's getting out of his new technology? ), this coupled with the fact that by the sounds of things there is a LOT of music grabbed from TresLunas and Maestro, not to mention a cover version or 2, makes me think this album of 'new' music is a bit short of 'new' ideas. Ok Ok call me cynical, I'm obviously glad we're getting a new album at all and I know we've heard very little of the album and i'm sure its going to have some great tunes, even if we have heard them before, in it somewhere. But still you do feel the build up to this has been taken down a notch or 2. Also I'm a bit dissapointed the Shade part of it now seems to be dance music and not dark and emotive stuff as thus far we were led to think. But again we'll have to hear the finished result to see what its actually like. I don't see why on earth he HAS to feel the need to clear out his studio and work purely digitally. A traditional musician of his ability doing something like this??? It doesn't add up if you ask me. Or rather whatever it does add up to is on these 2 cd's. The news has filtered through to mikeoldfield.org. Official release date is 27/09/05. A fully translated description of the tracks is on there too! Does anyone know which of these tracks are the ones that Pulsifer so kindly shared with us from Polish radio? I was thinking that they might be "Our Father" and "Sunset," but perhaps one of you has another guess? It's sad to hear that Mike's reason for not creating a long instrumental piece is the possible 70s connection. Does he or does he not feel inspired to create a long instrumental piece ? If yes then do it, Mike, if not then don't ! Did he think Sibelius' 5th symphony to be too "1919" for him when he heard it and was inspired to write Tubular Bells ? I'm looking forward to "Light and Shade" - if the music's good then shorter format pieces are fine, but I'd like a more plausible explanation for his current aversion to the "epic". After all, I think it is what the majoity of fans crave, whether it be acoustic and hand-played or electronic and computer driven. What happened to the idea he was touting following the release of TB2003, about creating an experimental piece using quarter tones ?